This is not the painting entitled “The Treachery of Images” by Rene Margritte. 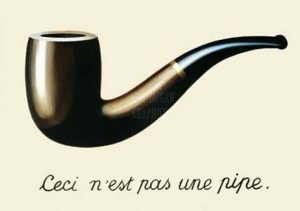 This is an image of the painting “The Treachery of Images” by Rene Margritte. This is not a number. This is a piece of text containing numerals, symbols which have numeric values associated with them, each individually, and also together as a whole. Parsing is the process of interpreting the representation of an idea to get at the idea itself. I’ve been a big podcast listener for several years. Here’s roughly the current list of podcasts I subscribe too, organized by how vehemently I recommend them. It’s downright humbling to realize how diverse the world is. This one gets extra credit for being so sonically interesting. Which is a recommendation in itself, just less strongly than the above. I don’t really listen to these, but that’s no fault of theirs. They are worth checking out. These guys do great journalism. I’ve contributed to them. I just can’t spare an hour a day on the daily news cycle. I know nothing about design but this is a great logo. 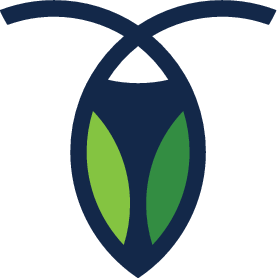 The two circular arcs that make up the body and antennae create a partial Venn diagram, referencing the set theory and relational algebra that form the theoretical foundation for this and any relational database. The shape on the back of the cockroach evokes a funnel, the universal symbol for filtering: a fundamental database operation. create a separate database for CiviCRM specific data. The easiest way to save money is to trick yourself into thinking you have less than you do, and saving the difference. Any time you think you have money, you’re liable to think you can spend it. This trick is based on the quirkiness of the calendar. If you get paid every other week, then it’s easy to assume that you get two paychecks per month, and you can base your budgets on that. The truth is that there are 52 weeks in a year and you’re only assuming there’s 48. So in fact twice a year you’ll have a month with 3 paychecks. If you can save these two entire checks, that puts you at a 7.7% savings rate, or even higher if you have your retirement contributions or other savings automatically deducted. Most of these ideas could be combined into a unit that would basically resemble ceiling-mounted track lighting. Each “light” would be able to aim itself and would contain some of the following modules. Assists in timing multiple recipes to be completed at the same time. Camera to upload photos of food to social media for bragging rights. Cameras to record video of cooking process for tutorials or to capture entertaining mistakes. The nice thing about this track lighting unit is that it’s relatively easily retrofittable into an existing kitchen and doesn’t require you to toss existing gadgets. A major flaw I’ve noticed in futurology is the temptation to assume that you can start from scratch. But the way things really work is that technology creeps forward by maintaining a degree of backwards compatibility. Products that require large investments don’t succeed in the market. Also the modularity of this design is nice because some technologies will reach marketability before others. Besides this device, every surface would be a scale, especially stove-top burners and including oven racks. Cooking appliances could be programmed by temperature vs. time graphs which would be downloadable from the internet and allow different temperatures over the course of cooking, and adapt to the temperature of the food (like microwaves already do) and also the weight of the food. I think the sort of assistance this provides allows the cook to feel like they still have ownership of the cooking process, as opposed to more automation based technologies that can rob one of that satisfaction. I’m reminded of the story of the boxed cake mix that failed when it only required the baker to add water, but was successful when it required the addition of an egg (although for that I think you must also factor in the distrust of the artificialness of a product that used to require perishable ingredients and is now made to be shelf-stable). While it is a notoriously hard problem to do image analysis to figure out what the ingredients are that you are working with, I think it would be fairly easy to tell the system “I’m measuring the flour” and then it would just have to track the location of the measuring cup. If it can do this, it can track your progress through a recipe and warn you if you do things out of order or forget a step. This would be one of the hardest things to get right because people hate being condescended to by technology.